Don't Cut That George! 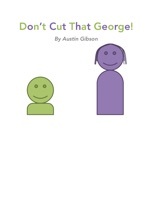 is a lovable, laughable children's book starring George, a curious little boy that loves to explore the world around him. However, one day, he strikes an interest in scissors, and learns an important lesson shortly after. Download this great book with a great moral today!